I trust you’ve heard by now that HTTP/3 is coming. It is the next destined HTTP version, targeted to get published as an RFC in July 2019. Not very far off. HTTP/3 will not be done over TCP. It will only be performed over QUIC, which is a transport protocol replacement for TCP that always is done encrypted. 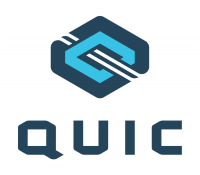 There’s no clear-text version of QUIC. The encryption in QUIC is based on TLS 1.3 technologies which I believe everyone thinks is a good idea and generally the correct decision. We need to successively raise the bar as we move forward with protocols. However, QUIC is not only a transport protocol that does encryption by itself while TLS is typically (and designed as) a protocol that is done on top of TCP, it was also designed by a team of engineers who came up with a design that requires APIs from the TLS layer that the traditional TLS over TCP use case doesn’t need! These operations need APIs that still are missing in for example the very popular OpenSSL library, but also in other commonly used ones like GnuTLS and libressl. And of course schannel and Secure Transport. Libraries known to already have done the job and expose the necessary mechanisms include BoringSSL, NSS, quicly, PicoTLS and Minq. All of those are incidentally TLS libraries with a more limited number of application users and less mainstream. They’re also more or less developed by people who are also actively engaged in the QUIC protocol development. 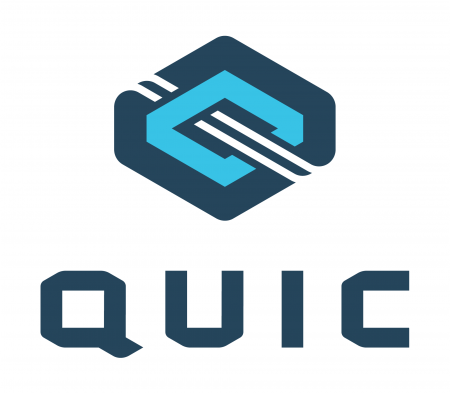 The QUIC libraries in progress now are typically using either one of the TLS libraries that already are adapted or do what ngtcp2 does: it hosts a custom-patched version of OpenSSL that brings the needed functionality. Matt Caswell of the OpenSSL development team acknowledged this situation already back in September 2017, but so far we haven’t seen this result in updated code shipped in a released version. curl is TLS library agnostic and can get built with around 12 different TLS libraries – one or many actually, as you can build it to allow users to select TLS backend in run-time! OpenSSL is without competition the most popular choice to build curl with outside of the proprietary operating systems like macOS and Windows 10. But even the vendor-build and provided mac and Windows versions are also built with libraries that lack APIs for this. With our current keen interest in QUIC and HTTP/3 support for curl, we’re about to run into an interesting TLS situation. How exactly is someone going to build curl to simultaneously support both traditional TLS based protocols as well as QUIC going forward? I don’t have a good answer to this yet. Right now (assuming we would have the code ready in our end, which we don’t), we can’t ship QUIC or HTTP/3 support enabled for curl built to use the most popular TLS libraries! Hopefully by the time we get our code in order, the situation has improved somewhat. I’m personally convinced that this little API problem will be friction enough when going forward that it will slow down and hinder QUIC deployment at least initially. 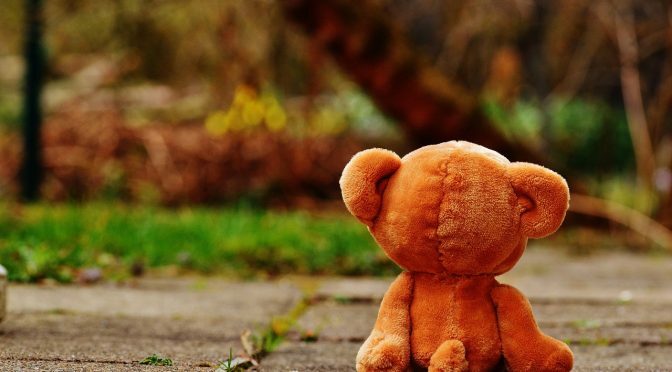 When the HTTP/2 spec shipped in May 2015, it introduced a dependency on the fairly new TLS extension called ALPN that for a long time caused head aches for server admins since ALPN wasn’t supported in the OpenSSL versions that was typically installed and used at the time, but you had to upgrade OpenSSL to version 1.0.2 to get that supported. At that time, almost four years ago, OpenSSL 1.0.2 was already released and the problem was big enough to just upgrade to that. This time, the API we’re discussing here is not even in a beta version of OpenSSL and thus hasn’t been released in any version yet. That’s far worse than the HTTP/2 situation we had and that took a few years to ride out. 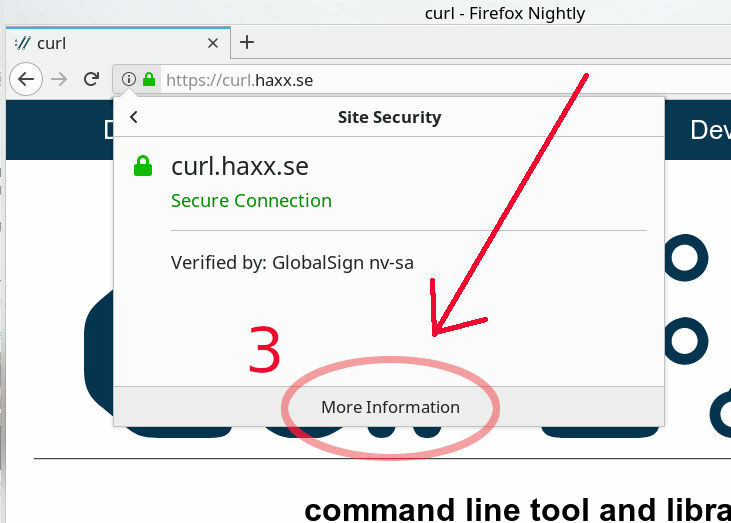 When you use curl to communicate with a HTTPS site (or any other protocol that uses TLS), it will by default verify that the server is signed by a trusted Certificate Authority (CA). It does this by checking the CA bundle it was built to use, or instructed to use with the –cacert command line option. 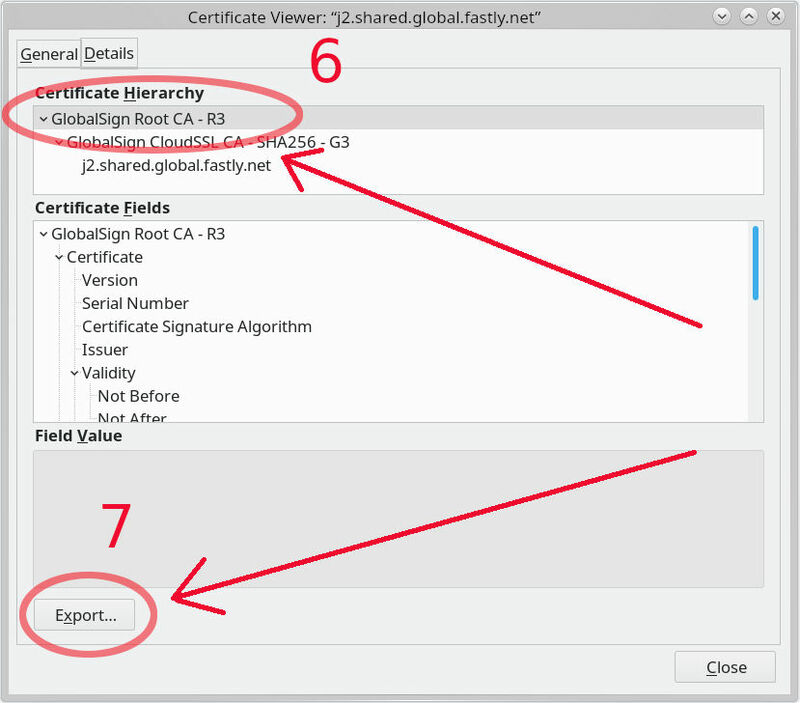 A first gut reaction could be to disable the certificate check. Don’t do that. You’ll just make that end up in production or get copied by someone else and then you’ll spread the insecure use to other places and eventually cause a security problem. I’ll show you four different ways to fix this. Operating systems come with a CA bundle of their own and on most of them, curl is setup to use the system CA store. A system update often makes curl work again. This of course doesn’t help you if you have a self-signed certificate or otherwise use a CA that your operating system doesn’t have in its trust store. curl can be told to use a separate stand-alone file as CA store, and conveniently enough curl provides an updated one on the curl web site. That one is automatically converted from the one Mozilla provides for Firefox, updated daily. It also provides a little backlog so the ten most recent CA stores are available. If you agree to trust the same CAs that Firefox trusts. This is a good choice. Now we’re approaching the less good options. It’s way better to get the CA certificates via other means than from the actual site you’re trying to connect to! This method uses the openssl command line tool. The servername option used below is there to set the SNI field, which often is necessary to tell the server which actual site’s certificate you want. Suppose you’re browsing the site already fine with Firefox. Then you can do inspect it using the browser and export to use with curl. Step 1 – click the i in the circle on the left of the URL in the address bar of your browser. Step 2 – click the right arrow on the right side in the drop-down window that appeared. Step 4 – Here you get security information from Firefox about the site you’re visiting. Click the “View Certificate” button on the right. It pops up yet another separate window. Step 7 – now click the “Export” tab at the bottom left and save the file (that uses a .crt extension) somewhere suitable. But I’m not using openssl! This description assumes you’re using a curl that uses a CA bundle in the PEM format, which not all do – in particular not the ones built with NSS, Schannel (native Windows) or Secure Transport (native macOS and iOS) don’t. If you use one of those, you need to then add additional command to import the PEM formatted cert into the particular CA store of yours. Just concatenate many different PEM files into a single file to create a CA store with multiple certificates. This is a feature-packed release with more new stuff than usual. New since the previous release is the dedicated curl bug bounty program. I’m not sure if this program has caused any increase in reports as it feels like a little too early to tell. 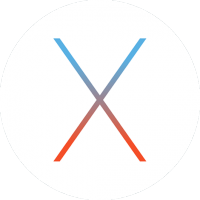 CVE-2018-16839 – an integer overflow case that triggers on 32 bit machines given extremely long input user name argument, when using POP3, SMTP or IMAP. CVE-2018-16840 – a use-after-free issue. Immediately after having freed a struct in the easy handle close function, libcurl might write a boolean to that struct! CVE-2018-16842 – is a vulnerability in the curl command line tool’s “warning” message display code which can make it read outside of a buffer and send unintended memory contents to stderr. All three of these issues are deemed to have low severity and to be hard to exploit. We introduce a brand new URL API, that lets applications parse and generate URLs, using libcurl’s own parser. Five new public functions in one go there! The link goes to the separate blog entry that explained it. A brand new function is introduced (curl_easy_upkeep) to let applications maintain idle connections while no transfers are in progress! Perfect to maintain HTTP/2 connections for example that have a PING frame that might need attention. 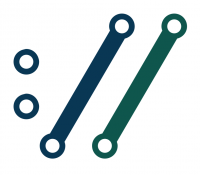 Applications using libcurl’s multi interface will now get multiplexing enabled by default, and HTTP/2 will be selected for HTTPS connections. With these new changes of the default behavior, we hope that lots of applications out there just transparently and magically will start to perform better over time without anyone having to change anything! We shipped DNS-over-HTTPS support. With DoH, your internet client can do secure and private name resolves easier. Follow the link for the full blog entry with details. The good people at MesaLink has a TLS library written in rust, and in this release you can build libcurl to use that library. We haven’t had a new TLS backend supported since 2012! Our default IMAP handling is slightly changed, to use the proper standards compliant “UID FETCH” method instead of just “FETCH”. This might introduce some changes in behavior so if you’re doing IMAP transfers, I advice you to mind your step into this upgrade. Starting in 7.62.0, applications can now set the buffer size libcurl will use for uploads. The buffers used for download and upload are separate and applications have been able to specify the download buffer size for a long time already and now they can finally do it for uploads too. Most applications won’t need to bother about it, but for some edge case uses there are performance gains to be had by bumping this size up. For example when doing SFTP uploads over high latency high bandwidth connections. curl builds that use libressl will now at last show the correct libressl version number in the “curl -V” output. CURLOPT_DNS_USE_GLOBAL_CACHE is deprecated! If there’s not a massive complaint uproar, this means this option will effectively be made pointless in April 2019. The global cache isn’t thread-safe and has been called obsolete in the docs since 2002! HTTP pipelining support is deprecated! Starting in this version, asking for pipelining will be ignored by libcurl. We strongly urge users to switch to and use HTTP/2, which in 99% of the cases is the better alternative to HTTP/1.1 Pipelining. The pipelining code in libcurl has stability problems. 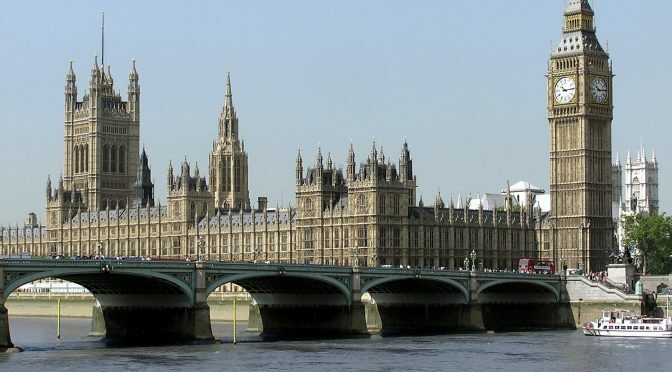 The impact of disabled pipelining should be minimal but some applications will of course notice. Also note the section about HTTP/2 and multiplexing by default under “changes” above. To get an overview of all things marked for deprecation in curl and their individual status check out this page. TLS 1.3 support for GnuTLS landed. Now you can build curl to support TLS 1.3 with most of the TLS libraries curl supports: GnuTLS, OpenSSL, BoringSSL, libressl, Secure Transport, WolfSSL, NSS and MesaLink. curl got Windows VT Support and UTF-8 output enabled, which should make fancy things like “curl wttr.in” to render nice outputs out of the box on Windows as well! The TLS backends got a little cleanup and error code use unification so that they should now all return the same error code for the same problem no matter which backend you use! When you use curl to do URL “globbing” as for example “curl http://localhost/[1-22]” to fetch a range or a series of resources and accidentally mess up the range, curl would previously just say that it detected an error in the glob pattern. Starting now, it will also try to show exactly where in which pattern it found the error that made it stop processing it. The curl for Windows CI builds on AppVeyor are now finally also running the test suite! 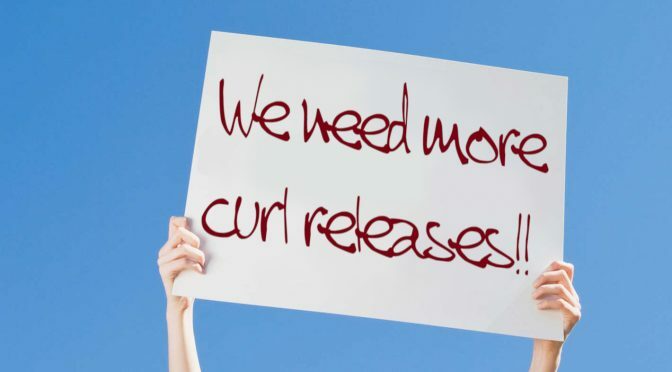 Actually making sure that the Windows build is intact in every commit and PR is a huge step forward for us and our aim to keep curl functional. We also build several additional and different build combinations on Windows in the CI than we did previously. All in an effort to reduce regressions. The “tidy” build runs clang-tidy on all sources in src/ and lib/. We’re right now doing 40 builds on every commit, spending around 12 hours of CPU time for a full round. With >230 landed commits in the tree that originated from 150-something pull requests, with a lot of them having been worked out using multiple commits, we’ve done perhaps 500 full round CI builds in these 56 days. This of course doesn’t include all the CPU time developers spend locally before submitting PRs or even the autobuild system that currently runs somewhere in the order of 50 builds per day. If we assume an average time spent for each build+test to take 20 minutes, this adds another 930 hours of CI hours done from the time of the previous release until this release. To sum up, that’s about 7,000 hours of CI spent in 56 days, equaling about 520% non-stop CPU time! We are grateful for all the help we get! The next release will ship on December 12, 2018 unless something urgent happens before that. The next release will probably become 7.63.0 since we already have new changes knocking on the door waiting to get merged that will warrant another minor number bump. Stay tuned for details! Yet again we say hello to a new curl release that has been uploaded to the servers and sent off into the world. Version 7.61.0 (full changelog). It has been exactly eight weeks since 7.60.0 shipped. A stupid heap buffer overflow that can be triggered when the application asks curl to use a smaller download buffer than default and then sends a larger file – over SMTP. Details. The trailing dot zero in the version number reveals that we added some news this time around – again. Over several recent releases we’ve introduced ways to extract timer information from libcurl that uses integers to return time information with microsecond resolution, as a complement to the ones we already offer using doubles. This gives a better precision and avoids forcing applications to use floating point math. The curl tool now outputs header names using a bold typeface! The auth support now allows applications to set the specific bearer tokens to pass on. As TLS 1.3 has a different set of suites, using different names, than previous TLS versions, an application that doesn’t know if the server supports TLS 1.2 or TLS 1.3 can’t set the ciphers in the single existing option since that would use names for 1.2 and not work for 1.3 . The new option for libcurl is called CURLOPT_TLS13_CIPHERS. There’s now a new option that can tell curl to not acknowledge and support user names in the URL. User names in URLs can brings some security issues since they’re often sent or stored in plain text, plus if .netrc support is enabled a script accepting externally set URLs could risk getting exposing the privately set password. When curl is built to use the threaded resolver, which is the default choice, it will now resolve locally available host names faster. Locally as present in /etc/hosts or in the OS cache etc. curl can now be built to use an external PSL (Public Suffix List) file so that it can get updated independently of the curl executable and thus better keep in sync with the list and the reality of the Internet. Rumors say there are Linux distros that might start providing and updating the PSL file in separate package, much like they provide CA certificates already. The somewhat rare FTP wildcard matching feature always had its own internal fnmatch implementation, but now we’ve finally ditched that in favour of the system fnmatch() function for platforms that have such a one. It shrinks footprint and removes an attack surface – we’ve had a fair share of tiresome fuzzing issues in the custom fnmatch code. In an effort to slowly increase our requirement on third party code that we might tell users to build curl to use, we’ve made curl fail to build if asked to use the axTLS backend. This since we have serious doubts about the quality and commitment of the code and that project. This is just step one. If no one yells and fights for axTLS’ future in curl going forward, we will remove all traces of axTLS support from curl exactly six months after step one was merged. There are plenty of other and better TLS backends to use! Detailed in our new DEPRECATE document. When negotiating TLS version in the TLS handshake, curl will now allow TLS 1.3 by default. Previously you needed to explicitly allow that. TLS 1.3 support is not yet present everywhere so it will depend on the TLS library and its version that your curl is using. We have several changes and new features lined up for next release. Stay tuned! First, we will however most probably schedule a patch release, as we have two rather nasty HTTP/2 bugs filed that we want fixed. Once we have them fixed in a way we like, I think we’d like to see those go out in a patch release before the next pending feature release. The IESG recently approved the TLS 1.3 draft-28 for proposed standard and we can expect the real RFC for this protocol version to appear soon (within a few months probably). TLS 1.3 has been in development for quite some time by now, and a lot of TLS libraries already support it to some extent. At varying draft levels. curl and libcurl has supported an explicit option to select TLS 1.3 since curl 7.52.0 (December 2016) and assuming you build curl to use a TLS library with support, you’ve been able to use TLS 1.3 with curl since at least then. The support has gradually been expanded to cover more and more libraries since then. GnuTLS seems to be well on their way too. TLS 1.3 support exists in the GnuTLS master branch on gitlab. curl’s TLS 1.3-support makes it possible to select TLS 1.3 as preferred minimum version. 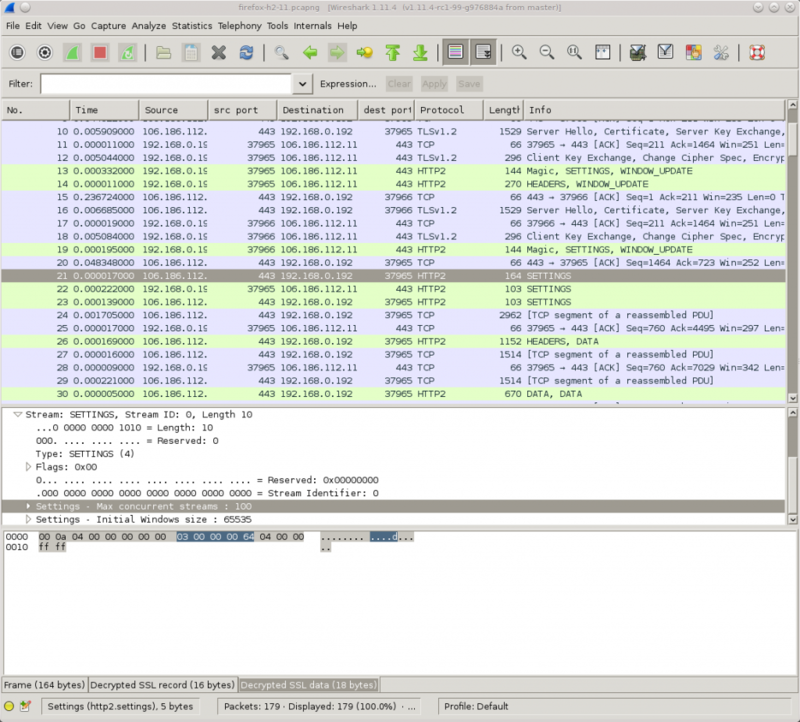 Since a long time back, the venerable network analyzer tool Wireshark (screenshot above) has provided a way to decrypt and inspect TLS traffic when sent and received by Firefox and Chrome. 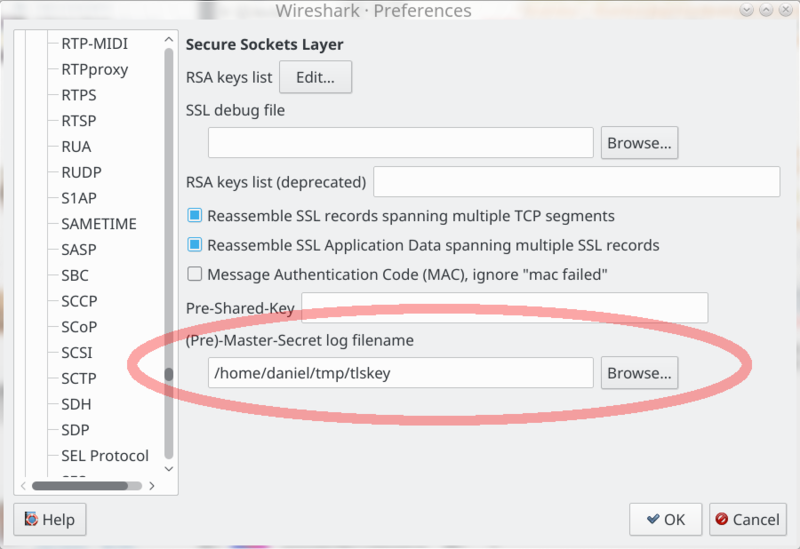 Setting the same file name path in the Master-secret field in Wireshark. Go to Preferences->Protocols->SSL and edit the path as shown in the screenshot below. Having done this simple operation, you can now inspect your browser’s HTTPS traffic in Wireshark. Just super handy and awesome. Just remember that if you record TLS traffic and want to save it for analyzing later, you need to also save the file with the secrets so that you can decrypt that traffic capture at a later time as well. Adding curl to the mix. curl can be built using a dozen different TLS libraries and not just a single one as the browsers do. It complicates matters a bit. In the NSS library for example, which is the TLS library curl is typically built with on Redhat and Centos, handles the SSLKEYLOGFILE magic all by itself so by extension you have been able to do this trick with curl for a long time – as long as you use curl built with NSS. A pretty good argument to use that build really. Since curl version 7.57.0 the SSLKEYLOGFILE feature can also be enabled when built with GnuTLS, BoringSSL or OpenSSL. In the latter two libs, the feature is powered by new APIs in those libraries and in GnuTLS the library’s own logic similar to how NSS does it. Since OpenSSL is the by far most popular TLS backend for curl, this feature is now brought to users more widely. In curl 7.58.0 (due to ship on Janurary 24, 2018), this feature is built by default also for curl with OpenSSL and in 7.57.0 you need to define ENABLE_SSLKEYLOGFILE to enable it for OpenSSL and BoringSSL. And what’s even cooler? This feature is at the same time also brought to every single application out there that is built against this or later versions of libcurl. In one single blow. now suddenly a whole world opens to make it easier for you to debug, diagnose and analyze your applications’ TLS traffic when powered by libcurl! run the libcurl-using application (such as curl) and Wireshark will be able to inspect TLS-based protocols just fine! Of course, as a light weight alternative: you may opt to use the –trace or –trace-ascii options with the curl tool and be fully satisfied with that. Using those command line options, curl will log everything sent and received in the protocol layer without the TLS applied. With HTTPS you’ll see all the HTTP traffic for example. Most of the curl work to enable this feature was done by Peter Wu and Ray Satiro. An HTTPS client needs to do a whole lot of checks to make sure that the remote host is fine to communicate with to maintain the proper high security levels. 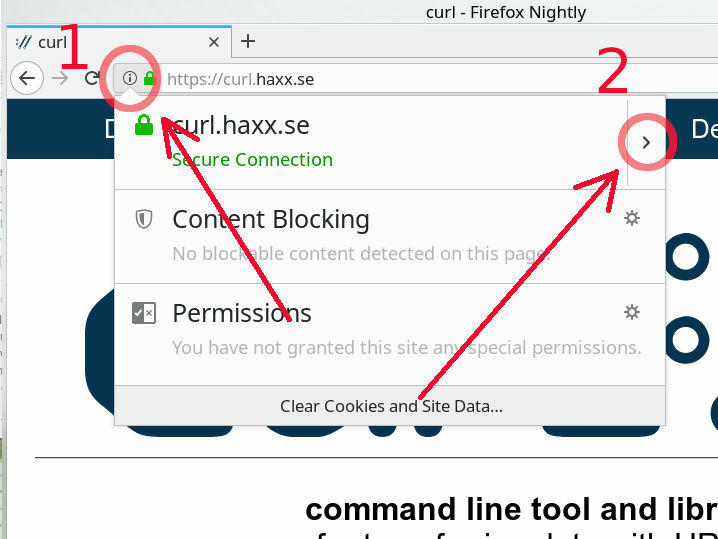 In this blog post, I will explain why and how the entire HTTPS ecosystem relies on the browsers to be good and strict and thanks to that, the rest of the HTTPS clients can get away with being much more lenient. And in fact that is good, because the browsers don’t help the rest of the ecosystem very much to do good verification at that same level. Let me me illustrate with some examples. 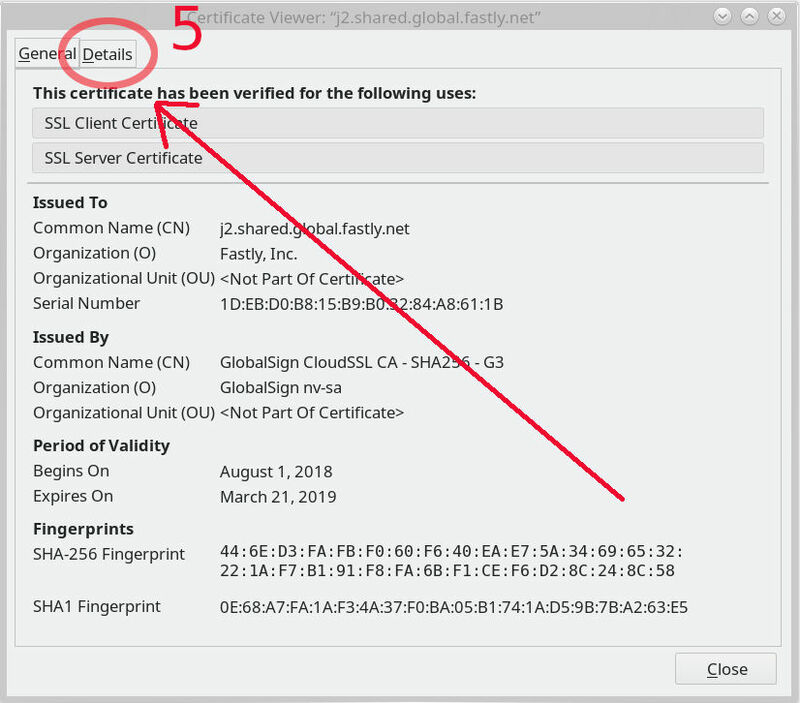 The server’s certificate must have been signed by a trusted CA (Certificate Authority). A client then needs the certificates from all the CAs that are trusted. Who’s a trusted CA and how would a client get their certs to use for verification? You can say that you trust the same set of CAs that your operating system vendor trusts (which I’ve always thought is a bit of a stretch but hey, I can very well understand the convenience in this). If you want to do this as an HTTPS client you need to use native APIs in Windows or macOS, or you need to figure out where the cert bundle is stored if you’re using Linux. If you’re not using the native libraries on windows and macOS or if you can’t find the bundle in your Linux distribution, or you’re in one of a large amount of other setups where you can’t use someone else’s bundle, then you need to gather this list by yourself. Mozilla doesn’t offer the set of CA certs in a format that anyone else can use really, which is the primary reason why we offer Mozilla’s cert bundle converted to PEM format on the curl web site. The other parties that collect CA certs at scale (Microsoft for Windows, Apple for macOS, etc) do even less. But the browsers, including Firefox, Chrome, Edge and Safari all add additional constraints beyond that CA cert store, on what server certificates they consider to be fine and okay. They blacklist specific fingerprints, they set a last allowed date for certain CA providers to offer certificates for servers and more. These additional constraints, or additional rules if you want, are never exported nor exposed to the world in ways that are easy for anyone to mimic (in other ways than that everyone of course can implement the same code logic in their ends). They’re done in code and they’re really hard for anyone not a browser to implement and keep up with. This makes every non-browser HTTPS client susceptible to okaying certificates that have already been deemed not OK by security experts at the browser vendors. And in comparison, not many HTTPS clients can compare or stack up the amount of client-side TLS and security expertise that the browser developers can. 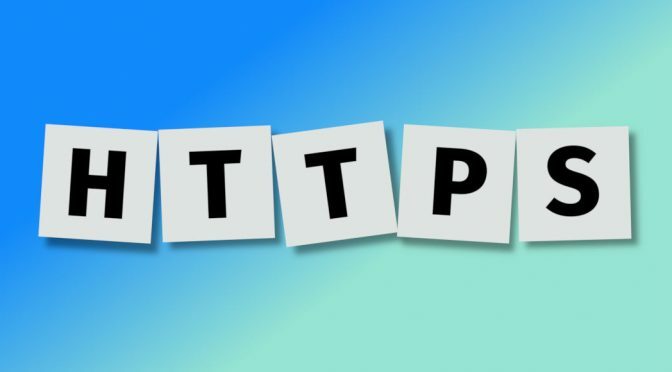 HTTP Strict Transfer Security is a way for sites to tell clients that they are to be accessed over HTTPS only for a specified time into the future, and plain HTTP should then not be used for the duration of this rule. This setup removes the Man-In-The-Middle (MITM) risk on subsequent accesses for sites that may still get linked to via HTTP:// URLs or by users entering the web site names directly into the address bars and so on. The browsers have a “HSTS preload list” which is a list of sites that people have submitted and they are HSTS sites that basically never time out and always will be accessed over HTTPS only. Forever. No risk for MITM even in the first access to these sites. There are no such HSTS preload lists being provided for non-browser HTTPS clients so there’s no easy way for non-browsers to avoid the first access MITM even for these class of forever-on-HTTPS sites. 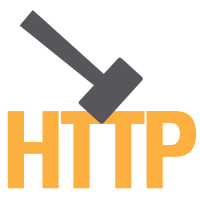 Update: The Chromium HSTS preload list is available in a JSON format. 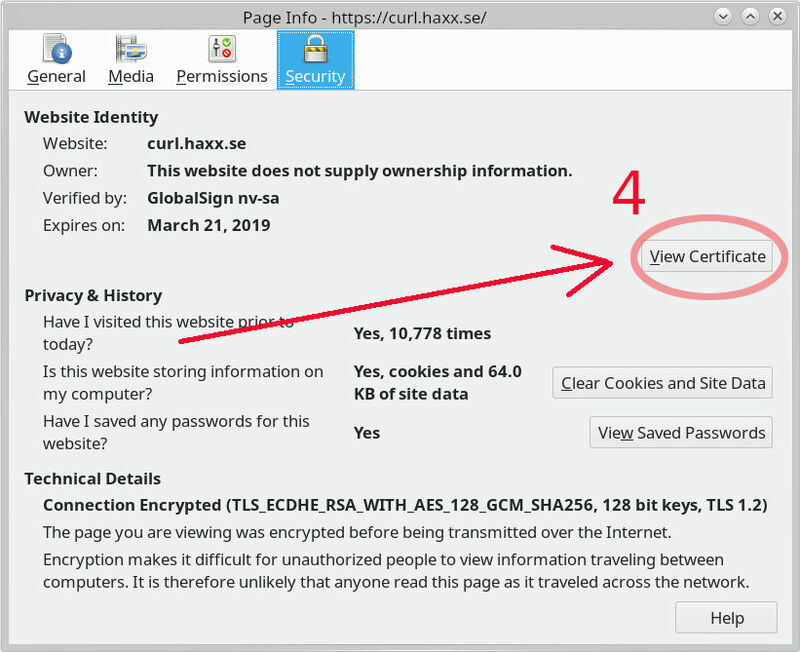 I’m sure you’ve heard about the deprecation of SHA-1 as a certificate hashing algorithm and how the browsers won’t accept server certificates using this starting at some cut off date. 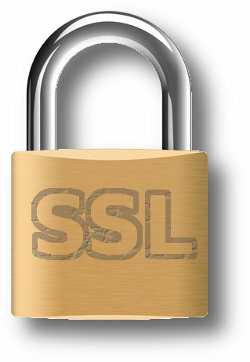 TLS and HTTPS are full of tricky areas and dusty corners that are hard to get right. The more we can share tricks and rules the better it is for everyone. 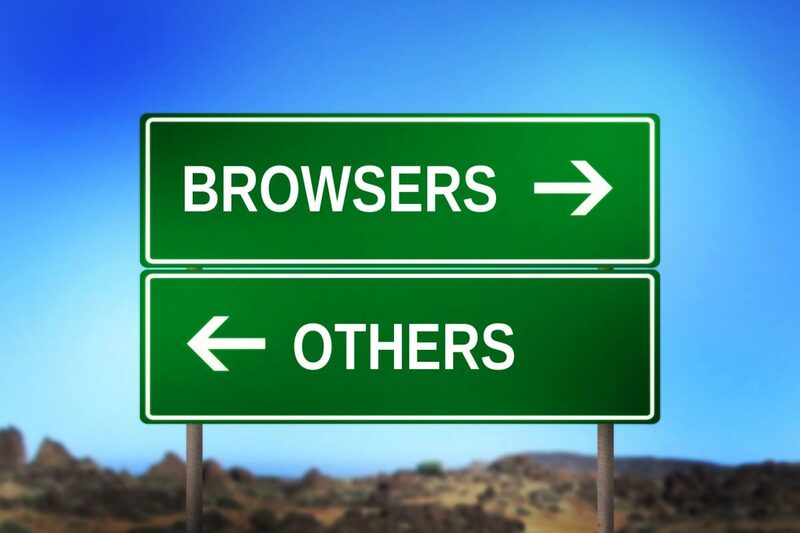 I think the browser vendors could do much better to help the rest of the ecosystem. By making their meta data available to us in sensible formats mostly. For the good of the Internet. Yes I work for Mozilla which makes Firefox. A vendor and a browser that I write about above. I’ve been communicating internally about some of these issues already, but I’m otherwise not involved in those parts of Firefox. Draft 18 of the TLS version 1.3 spec was publi shed at the end of October 2016. Already now, both Firefox and Chrome have test versions out with TLS 1.3 enabled. Firefox 52 will have it by default, and while Chrome will ship it, I couldn’t figure out exactly when we can expect it to be there by default. Over the last few days we’ve merged TLS 1.3 support to curl, primarily in this commit by Kamil Dudka. Both the command line tool and libcurl will negotiate TLS 1.3 in the next version (7.52.0 – planned release date at the end of December 2016) if built with a TLS library that supports it and told to do it by the user. The two current TLS libraries that will speak TLS 1.3 when built with curl right now is NSS and BoringSSL. The plan is to gradually adjust curl over time as the other libraries start to support 1.3 as well. As always we will appreciate your help in making this happen! Right now, there’s also the minor flux in that servers and clients may end up running implementations of different draft versions of the TLS spec which contributes to a layer of extra fun! Three TLS current 1.3 test servers to play with: https://enabled.tls13.com/ , https://www.allizom.org/ and https://tls13.crypto.mozilla.org/. I doubt any of these will give you any guarantees of functionality. TLS 1.3 offers a few new features that allow clients such as curl to do subsequent TLS connections much faster, with only 1 or even 0 RTTs, but curl has no code for any of those features yet. cur l has been shipped by default on Mac OS X since many years – I actually couldn’t even manage to figure out exactly how many. It is built and bundled with the operating system by Apple itself and on Apple’s own terms and even though I’m the main curl developer I’ve never discussed this with them or even been asked or told about their plans. I’m not complaining, our license allows this and I’m nothing but happy with them shipping curl to millions of Mac users. 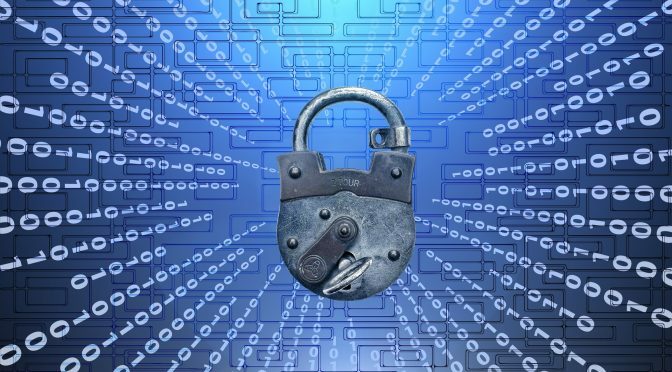 Originally, curl on Mac was built against OpenSSL for the TLS and SSL support, but over time our friends at Apple have switched more and more of their software over to use their own TLS and crypto library Secure Transport instead of OpenSSL. A while ago Apple started bundling curl built to use the native mac TLS library instead of OpenSSL. As you may know, when you build curl you can select from eleven different TLS libraries and one of them of course is Secure Transport. Support for this TLS back-end in curl was written by curl hackers, but it apparently got to a quality level good enough for Apple to decide to build curl with this back-end and ship it like that. curl doesn’t support HTTP/2 on mac! 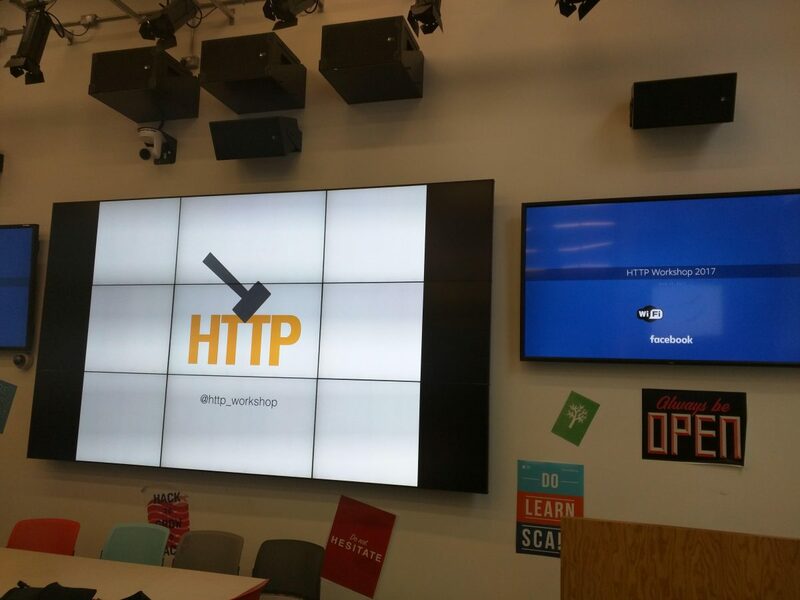 Secure Transport doesn’t offer any public API to enable HTTP/2 with ALPN when speaking HTTPS. Sure, we know Apple supports HTTP/2 already in several other aspects in their ecosystem and we can check their open code so we know there’s support for HTTP/2 and ALPN. There’s just no official APIs for us to use to switch it on! So, if you insist on building curl to use Secure Transport instead of one of the many alternatives that actually support ALPN just fine, then you can’t negotiate HTTP/2 over TLS! Even without ALPN support, you could actually still negotiate HTTP/2 over plain text TCP connections if you have a server that supports it. But even then curl depends on the awesome nghttp2 library to provide the frame level protocol encoding/decoding and more. If Apple would decide to enable HTTP/2 support for curl on Mac OS, they need to build it against nghttp2. I really think they should. Homebrew and friends to the rescue! Correct. You can still install your own separate curl binary (and libcurl library) from other sources, like for example Homebrew or Macports and they do offer versions built against other TLS back-ends and nghttp2 and then of course HTTP/2 works just fine with curl on mac. Did I file a bug with Apple? No, but I know for certain that there has been a bug report filed by someone else. Unfortunately it isn’t public so I can’t link nor browse it.